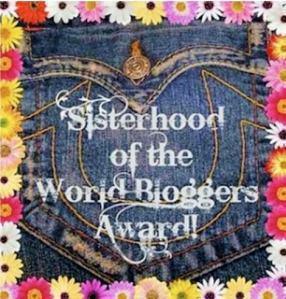 Finding Your Inner Happiness recommended me for the Sisterhood of the World Bloggers Award. Thank you so much, Finding Your Inner Happiness! If you could change one thing about the world what would it be? Open everyone’s hearts to love. What is your favorite way to chill out? Read in bed before I go to sleep at night. What is your favourite food? Chocolate. What is your favourite song? I love jazz standards. No favorite comes to mind. What annoys you the most? Intolerance. I’m intolerant of intolerance. What is your favourite month? I have no favorite month. What is your favourite season? I have no favorite season, and live in an almost seasonless climate. Are you religious? I believe in God as love, have attended seminary, but do not attend church. I am a skeptical believer. What star sign are you? I am a Leo. Although I do not believe in astrology, my sign suits me. I am proud to be a Leo and have always identified with big cats. What is your favourite quote? I started an Internet search for a quote and found it too overwhelming. I have no favorite quote off the top of my head. What is your goal for the next three to five years? Dyane Harwood at Birth of a New Brain: http://proudlybipolar.wordpress.com/. Yes, Finding Your Inner Happiness already nominated her, but I don’t care. I’m nominating her again. So she can feel doubly validated. No need to do anything about it, Dyane. Just take it as a compliment. Gertie’s Journey: http://gertiesjourney.com/. Gertie’s recovery from mental illness is inspiring. She volunteers at a homeless shelter and is training to volunteer for the Warm Line. Thank you, Gertie, for all that you do. Sheri de Grom at http://sheridegrom.com/. Sheri de Grom is a retired Fed/JAG with 5 years experience on Capitol Hill. Her interests include mental health care reform, health care strategy and actively pursuing legislative change wherein dual retirees are exempt from enrolling in Medicare at their own discretion without losing tertiary health care benefits. She is now writing women’s fiction and professional book reviews. Susan Irene Fox | Jesus follower, new Christian, unfinished human at http://susanirenefox.com/. Susan Irene Fox is a survivor who finds healing in her faith in God’s love. Zephyr at Struggles of a Bipolar Woman | Fighting every day, Hoping not to lose the battle at http://strugglewithbipolar.wordpress.com/. Zephyr is a strong, compassionate woman of deep faith and a loving mother and wife. 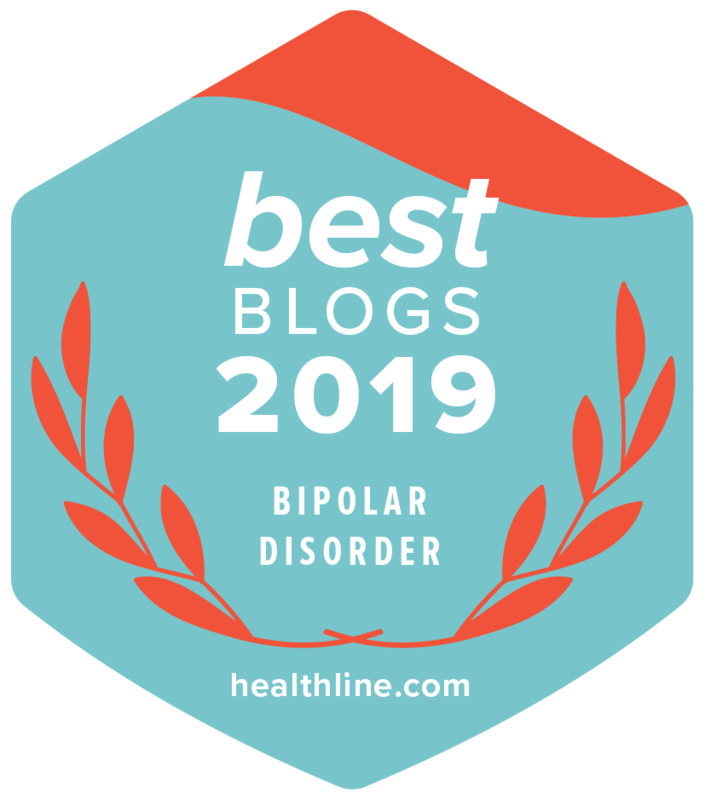 Next Article Am I Bipolar or Do I Have Bipolar? Congratulations – much deserved – you introduce to us imperative topics and valuable in our daily live. Congrats on your award, Kitt. So glad you found me on WordPress. I follow you here as well. Thank you for the work you do as an advocate. You are one very impressive and accomplished woman. Kitt, like you and so many others, I’d like each new day to be better for those I love and care about. Congratulations! I like the award design also! You, too, have a wonderful weekend. Thanks, again, Kitt, for this lovely nod in my direction. I’m cycling today, so I won’t do any more than that. well…you know… it’s the bipolar kind, so not too enjoyable. No, it’s not. Wishing you stability, then. 🙂 I would love to be nominated! 🙂 I am 17. Many thanks for nominating my blog – I like an award where I don’t have to do anything! I could get used to that. I really like the three questions you cooked up, by the way – it’s better if the quality is there (which it is in spades) as opposed to quantity when it comes to award questions. Your answers are rich despite the fact that you’re tired. 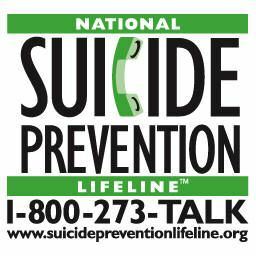 I know how you’re feeling tonight because I’m right there with you; I’m also tired & overwhelmed. Tiredwhelmed, if you will. T.W. Yep, I’m loopy when exhausted. I’m hoping to sleep better tonight. Fingers are crossed tightly. And lastly, here’s a hearty congratulations to you for “Kitt O’Malley” being nominated for this award – you deserve it to the nth degree! Thanks. I like T.W. or tirewhelm(ed) just conjugate it as one verb not two.